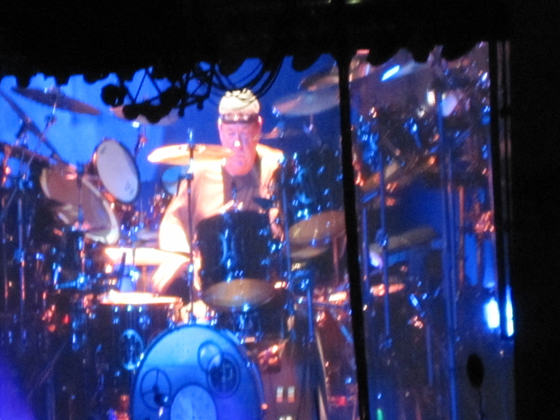 So back on August 5th [of this year, 2010], my wife and I went to see Rush for my birthday, which was the next day. 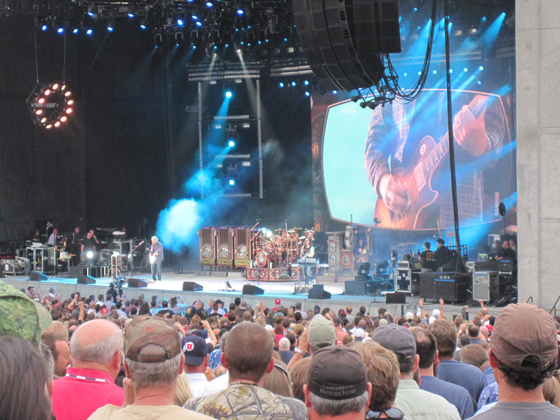 I had seen them live twice before, but you can never see a great band like Rush too many times. Who the hell is RASH? Some cheesy cover band, I bet. I’ve been a Rush fan since pretty much they started. I had all of their albums from their debut to their latest on some form of media, be it vinyl, cassette, CD and now digital. But it was in 1981 when the now-classic “Moving Pictures” came out that showed this long time fan could allow this trio of Canadians to go mainstream. And so this tour called “Time Machine” would have them play the entire “Moving Pictures” album live, in it’s entirety. A seven-song masterpiece in a crowd of thousands. Did it work? I think it did. Three hours later, I felt I had a great time, got to hear many of my favorite songs, including “Freewill”, “Spirit of the Radio”, “Working Man”, La Via Strangiato”, “Closer to the Heart” and a very cool live version of “YYZ”, my favorite song on the afore-mentioned honored album. 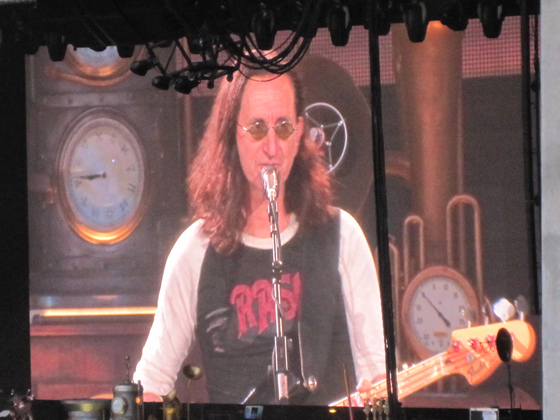 As always, Rush will remain a concert draw each time they tour in the future. 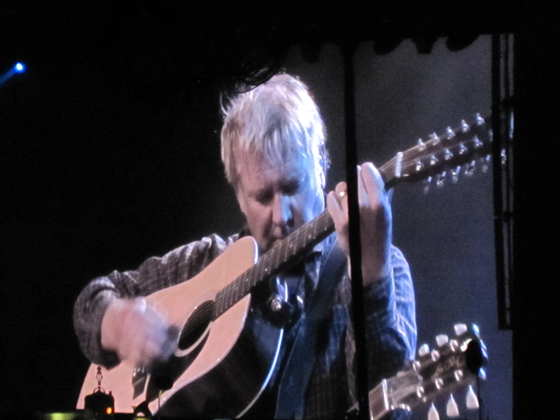 BTW, if you won’t take my word for it, go check out another Rush fan’s review of his concert experience. After all, two Rush fans can’t be wrong. Those are some great pics. They’re coming through Texas but I’ll miss them. Heck I might have already missed them, I’m so far out of the loop. I had forgotten I’d written about my Rush adventure. I wouldn’t be surprised if Rush “conveniently” forgot about it too, just in case you ever have the chance to ask them about it. Nice photos. I took some from my phone… but they all came out (not surprisingly) looking as if the stage had burst into flomes. Multi-colored flames, but flames nonetheless. We are going to see them next week – even more stoked now. Looks like a great show! Excellent pics, taking shots at concerts is difficult but you got some good ones. I do like Rush although I am a bit of a noob and only have their double CD Chronicles. Still, it is a damn good album. Which album would you recommend I branch out to after Chronicles? whall – I actually was planning on asking them, but I wasn’t able to get backstage passes for this show. Next time, though for sure. delmer – Multicolored flames are good sometimes. beth – I saw your tweets from the show and it sounds like you enjoyed it a lot. kevin – Thanks, sir. I would suggest “Moving Pictures” and then “2112” which are two that I really like a lot. Very musically different, yet both stand on their own as great works. Nice. Love that album a lot.